CARL RUSSO/staff photo. From left, Brianna Orben of Danville, Angela Orben, Steve Lyons' sister and vice president of the Steve Lyons Fund, Robyn Knipe-Verrette of Haverhill and Dharma Alavid, 14 who came from Colorado to perform. The Steve Lyons Fund hosted the annual Rock Out! 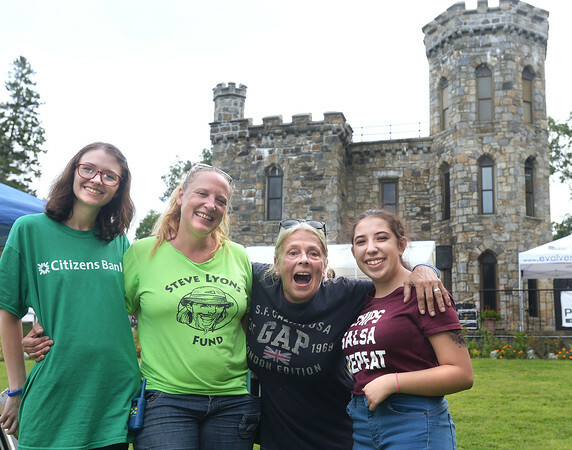 Cookout on Saturday, August 25, at Winnekenni Castle in Haverhill. This family-friendly afternoon of music, food and fun benefited the Haverhill High School Marching Band Uniform Fund.